Now that I've tackled Buckaroo Banzai, the next one long overdue to tackle will be Tales of the Gold Monkey. The Story: Author John Small discovers that the film King Kong was based on true events and gathers research on the true events of the film and the follow-up events that have happened since. Notes: John Small uses a popular Farmerian method (named for Philip Jose Farmer) in which he places himself in the world of fiction, imagining that fictional stories are based on true events. Here, he melds together the original Kong story, and its sequels, prequels, and remakes, and makes them all fit into one coherent reality. Along the way, he throws in references to other fictional characters who must have been involved in such events based on their stature and the nature of the event. John Small makes official my conjecture that the 2005 film by Peter Jackson is the same events as the original film, just retold with dramatic license from Mr. Jackson. In explaining how the events of Kong could have happened in a world where most people are unaware of the supernatural and the extraordinary, he references other events that have later been covered up, despite their overly public exposure, such as the 1898 and 1938 Martian invasions from War of the Worlds, and the invasion of Mongo from Flash Gordon. 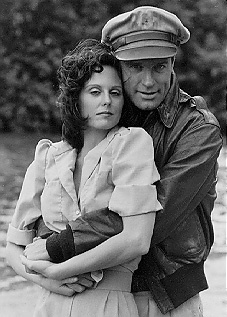 DOC SAVAGE and TARZAN employ Denham to return to Skull Island to do documentary filming. Skull Island is said to be "the Menace of the Monsters". Joining in on the expedition were INDIANA JONES, Alex O'Connell (famous for taking down THE MUMMY), and Joshua Williams (from "Joshua Williams Breaks a Date"). (TARZAN couldn't make it due to events seen in TARZAN ALIVE). Roland Tembo is among the expedition as well. Tembo's CINEVERSE counterpart appears in THE LOST WORLD: JURASSIC PARK. SON OF KONG is a fictionalized version of events that actually happened during this expedition. In Kong Reborn, Dr. Jill Drake is involved in this incident. Jill discovers that BUCKAROO BANZAI has moved a clone of KING KONG to BANDUKI. It may be that the events of KONG: THE ANIMATED SERIES may be based on these events, which involve a female scientist who clones Kong then has to release him in a suitable environment. It was followed by KONG: KING OF ATLANTIS and KONG: RETURN TO THE JUNGLE. Among the crew that journeys to Skull Island in the first expedition is Jake Cutter (TALES OF THE GOLD MONKEY). Kong is of the same species as seen in JOURNEY TO THE CENTER OF THE EARTH, TARZAN AT THE EARTH'S CORE, and TALES OF THE SHADOWMEN 3: DANSE MACABRE "The Ape Gigans". Mighty Joe Young is also connected to Kong and one of Denham’s grandsons is tied in as a villain on an episode of the A-Team. Fu Manchu is also said to be the villain secretly behind Jurassic Park. 1938--TALES OF THE GOLD MONKEY--This series is set with loads of historical and fictional anachronisms, but that doesn't stop it from existing in the TVCU. After all, we include Hercules: The Legendary Journeys. We must remember that the TVCU IS NOT the real world. It is a fictional alternate reality. August 13, 1956--QUANTUM LEAP--"Ghost Ship"--Dr. Sam Beckett is a time traveler leaping into different bodies in the past. In this instance, he leaps into pilot Eddie Brackett, flying a refurbished Grumman G-21 called Cutter's Goose. This plane is the plane from Tales of the Gold Monkey. To further cement the crossover, the passengers are Grant Cutter Jr and his bride Michelle. They are flying through the Bermuda Triangle, and so weirdness ensues. December 1980--MAGNUM P.I.--Bellasario originally intended to call the lead character Thomas Cutter, not Magnum, to imply a relationship to the lead character of TALES OF THE GOLD MONKEY. I contend there is still a relationship, due to writer's intent. March 1983--MAGNUM P.I.--"Two Birds of a Feather"--William Lucking, who had played Gandy Dancer in TALES OF THE GOLD MONKEY, appears in this later series by Bellisario, in a potential back door pilot for a character who Bellisario had intended to be descended from Gandy. January 1984--AIRWOLF--This series came about in the evolution of the back-door pilot from "Two Birds of a Feather" episode of Magnum. So Stringfellow Hawke may be a descendant of Gandy Dancer as well. November 1984--A-TEAM--"The Island"--Cutter's Goose is apparently still flying, as seen in this episode (using stock footage). March 26, 1989--QUANTUM LEAP--Another Bellisario series with a reuse of a name. Gushie was a waiter in TALES OF THE GOLD MONKEY and a scientist in QUANTUM LEAP, with another implied intentional relationship. CARTOON UNIVERSE--Talespin is an animated series that is both a sequel of sorts to Disney's Jungle Book, but inspired by Tales of the Gold Monkey.